Discover campsites of Hérault France but also over 450 campsites throughout France, offering a variety of rental mobile homes, chalets and accommodation of more atypical as bungalows or caravans, but also leisure facilities such as aquatic areas with sometimes an indoor or well even with heated pool for your comfort, for an unforgettable vacation. Welcome and enjoy your visit in Hérault (34) with Mediterranean Sea, French Riviera. Campsites in Hérault welcome you to your camping holiday 2, 3, 4 and 5 star or LRP. 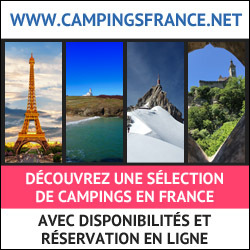 Campsites with recreational facilities (swimming pool, water park, water park, water slides, wading pool, spa, playground, tennis court, multi-sports), entertainment and services (restaurant, bar, food, WiFi access, disabled access, camper services) to make the best of holidays throughout Hérault. Traditional camping in Hérault on pitches or rental of mobile home camping, campsites below offer the best camping in Hérault. Enjoy the outdoor accommodation and campsites in Hérault! Rental of mobile homes, chalets, bungalows, cottages, Bengali, cottages, trailers, caravans, tipis and camping sites equipped for your holidays in Hérault, our French campgrounds welcome you everywhere in Hérault, a favorite camping in Europe. Have a great holiday camping with our campsites in Hérault! Treat yourself to the vacation of your dreams in an idyllic location just 400 meters from a beautiful sandy beach. 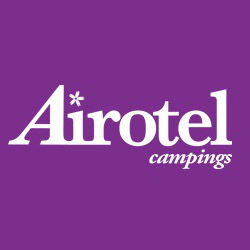 We offer rental of mobile homes for 2 to 8 people, chalets or camping pitches. You will find quality equipment and all the necessary comfort. If you want to spend an unforgettable holiday with your family or with your friends, Camping Le Clos Virgile 4 * is for you! 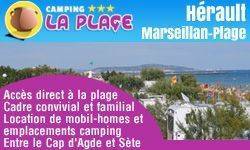 Adjacent to the sea, CAMPING LA PLAGE is situated at Marseillan-plage and welcomes you with a friendly family atmosphere. The Campsite has direct access to a fine sandy beach. This allows your safety so that you can enjoy your holiday to the full. For your next summer holidays, you are planning to stay at a campsite of South France? La Pinede welcomes you in an attractive setting where nature has kept all its rights. Choose to rent a mobile home in our quiet and luxurious camping. You will surely love this quality environment and will just want, come back each year. For this, we give you the opportunity to purchase or rent a mobile home in a luxury camping in South France. Grab this opportunity and experience unforgettable moments with family or friends. Aigues morte, Camargue, Méditerranée, Grotte de Clamouse, Canal du Midi, Lac de Clermont, La Via Domitia, Les Circulades, Le couvent des Ursulines, La Cathédrale Saint-Pierre, Arc de Triomphe, Les Folies montpelliéraines, L'amphithéâtre St Côme, Agropolis-Museum, Etang de Thau, La serre amazonienne du parc zoologique de Montpellier, Le pèlerinage de Saint-Jacques de Compostelle, verrerie d'Art à Claret. 15/03/2019 : C'est déjà le moment de penser à vos vacances en camping à Palavas-les-Flots ! 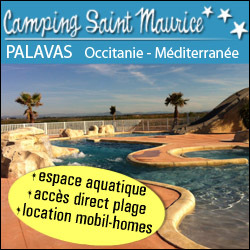 09/01/2019 : 2019 : nouvelle année...nouveau site...nouveau blog pour le Camping Saint Maurice !